As a Snowboarder/Splitboarder, finding a good pair of gloves is not so easy. But is one of the most important tools besides the hardware, and in my snowboarding career I have had tonnes of different gloves. Some really bad ones some ok ones... And Hestra. 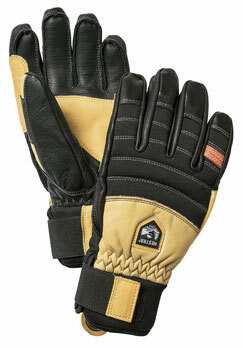 The Army Leather Ascent is a 5 finger glove with a leather shell and a wool liner. It comes with all the main features you would want from a 150 Euro glove. Like a removable liner, handcuffs & an extra leather balm. A good fit is very important, if a glove is too tight it will make the blood flow to your hands more difficult leading to colder fingers as the blood circulation has been restricted. A glove that is too wide will also result in cold hands; the extra space might create too much of an air flow to your hands allowing too much cold air in.. Let alone the fact that the gloves being too baggy makes it harder to use your hands, so you’ll be removing them more often. Gloves bought in the right size will have a good fit, you won’t get the feeling that you’re losing the glove or that it is too loose / tight at any point. Being warm is key, and the primary goal of a glove. But on the other hand you also don't want to be too warm and have sweaty hands. As you sweat the gloves gets wet, this makes you uncomfortable and also when temperatures drop can lead to cold fingers and subsequently to hypothermia. When handling ropes and carabiners or simply just your splitboard gear, cold fingers can be a pain in the arse and could lead to difficult and dangerous situations. On your average day in the alps this glove will keep you comfortably warm . On colder days, -15 degrees you have to consider bringing an extra inner liner or a better insulated glove. This glove works best down to -15 degrees Celsius. 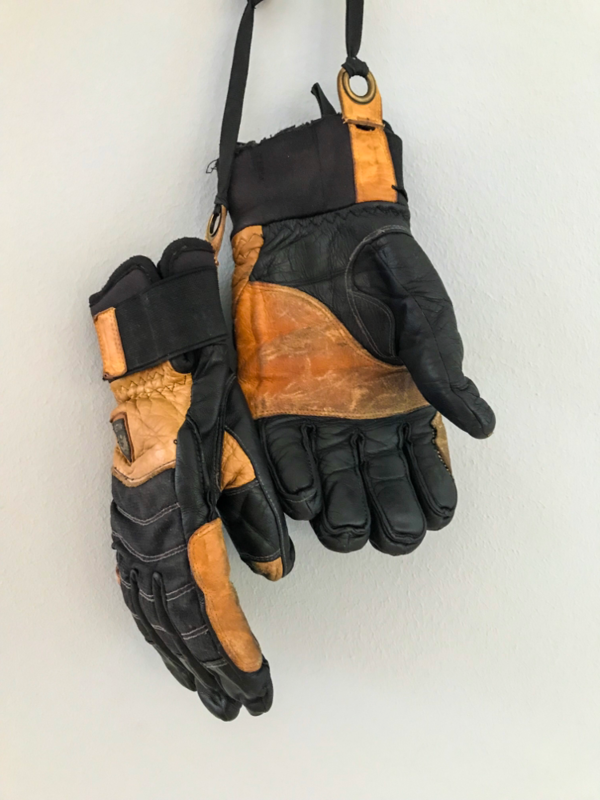 I have been through a lot of gloves in my snowboarding lifetime (as probably everyone else has). Most gloves are not designed for snowboard edges and touching the snow all the time. As well as handling ropes and carabiners and gripping the dfferent terrain with your hands... This will be tough on any glove. Most gloves I’ve had have lasted one single season. However with this glove I am going into my 5th Season!!!! 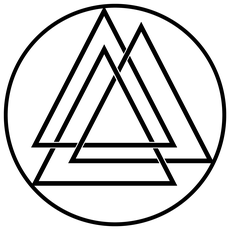 Not only snowboarding, but with elements of mountaineering. To be fair it needed a bit of very minor repairing, but with this glove it is worth it. I did make sure I used the leather balm very often to keep the leather water resistant and smooth. Over the years this glove has transformed into a second skin and I'll try to keep this glove for a few more seasons. The liner might need to be replaced but the shell is better than ever. This glove is sold as a mountaineering glove, I agree 100%. For a glove with this kind of insulation, you can easily tie knots in ropes or handle carabiners. When it comes to handling very small and fine things you would want a thiner glove to be able to handle everything. This glove is a must have in your quiver. It is the glove you'll wear on 95% of the days. It doesn't matter if you’re just cruising around in a resort or going up some steep faces, with ice axes and ropes. This glove is never out of its comfort zone. It is almost ridiculous how long it lasts, if properly treated with leather balm this glove can last decades.